Summer is here which means the grills are out and dusted off, and the heat is turned up! This grilled salmon salad makes a perfect hearty lunch or dinner. Just toss all the ingredients together and you'll have everyone's plates ready before they can ask "Is dinner ready yet?!" You know your family best, purchase enough ingredients and plate accordingly. 1. Turn on grill so it's nice and hot. Salt and pepper salmon fillets and brush with olive oil. Add a spritz of lemon juice now if you'd like. 2. Gather all the vegetables. Wash thoroughly, chop/slice and set aside. By now your grill should be ready to go, place fillets skin-side up directly over flame. Cook medium well. 3. Plate your greens first, followed by the other vegetables and then top with your grilled salmon fillet. Sprinkle with more lemon juice and add shaved Parmesan. Pour your favorite dressing over the salad, mix and enjoy! As a supplier of performance activewear and trendy leisurewear, we are happy to report that the trend coined Athleisure is here to stay. This phenomenon, which has made a global impact on fitness-conscious consumers most notably within the past five to seven years continues to be on the rise. Research conducted by the NPD Group confirms that in 2015 athleisurewear dominated the apparel industry with an estimated market size of $44 billion in the U.S. alone. Big bank Morgan Stanley has predicted a growth to $83 billion by 2020, stealing the market share from non-athletic apparel. One of the main reasons we’ve seen massive popularity in the athleisure trend is due to filling the marketplace gap with functional and comfortable clothing that was stylish. Clothing that could be worn to a yoga class or the gym as well as everywhere else. The trend, largely driven by millennials is now acceptable in a wide variety of social situations. It is safe to say athleisure clothing won’t be disappearing anytime soon as more and more consumers are jumping on board. Their interest in athletics not only as a hobby but as an all-around lifestyle will help fuel the market to keep adapting by using different materials, new products features, and keeping up with fast fashion trends. Luckily for our all Studio Partners, we strive to bring a wide variety of staple and trendy items that are fully customizable to meet your studio’s needs at any given time. Don’t see something you’re looking for, just ask and we’ll be happy to help you! No room for retail or storage? No problem. As a Studio Only partner, we offer a complimentary e-commerce boutique to sell your branded activewear. The online web store is a great outlet to help support customized activewear sales. Below, we’ve put together features of the boutique as well as ways to help market your virtual retail space. We host and maintain the site free of charge every month! We take care of payment, shipping and processing making it very simple for your customers to shop for their favorite studio apparel. We manage all inventory so you don’t have to worry about what’s in stock and not. Earn extra revenue for your studio! Receive a monthly commission check for every online purchase. Create a “SHOP” section on your studio website and link the page to your online boutique. Remind customers in monthly e-newsletters and via social media to check out the web store. Don’t miss a sale if you’re out of stock in studio—direct customers to the online shop and we’ll fulfill their order on the spot! If you don’t have an online boutique and would like one, please contact your sales rep to have one setup! The month of November is all about being thankful. We would like to give thanks to our wonderful studio partners! We're blown away by all of the support and kind words we've received from our amazing clients from over the years. Below are a few stories and special notes we would like to share. A studio partner previously worked with another leading activewear brand. Since this brand was pretty well known, she thought it might sell better in her studio. This brand could be found everywhere including sporting goods stores and because of this, she wasn't selling many items. The apparel wasn't unique enough since it could be purchased anywhere and the other stores selling the same brand were able to sell the apparel for less since they were bigger. She was stuck with a bunch of inventory that she could not sell. She then decided to partner with Studio Only because the Studio Only brand is exclusive and unique. You can only buy Studio Only activewear at studios, and at each studio the activewear is customized making it even more unique. "Everything is easy and seamless!" From designing to placing orders online, we make the process as easy as possible. Many studio owners/buyers have commented that it's preferable to consolidate their buying with one vendor as opposed to having to manage multiple vendors for different items. Clients also mention that they love how we stand behind our product and appreciate our attention to detail and provide excellent custom service. "Love that Studio Only adds so many fun new items!" We are constantly adding new colors, styles and items to our custom wholesale collection to keep things fresh for our clients. Studio owners love that our styles are classic closet staples that everyone needs and can wear. A few new additions include our printed leggings, graphics collection and expanding marketplace full of custom accessories that can be branded for studios. 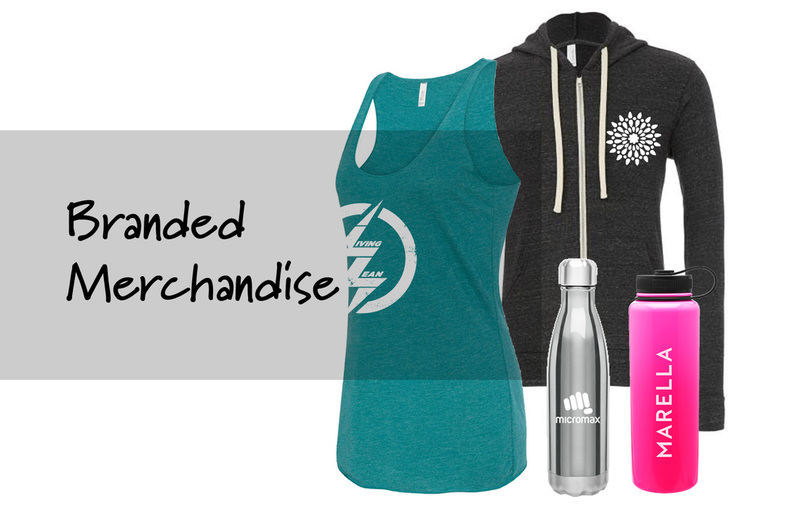 From custom activewear to custom water bottles, we have it all! "The fabric is perfect, not too thick and not too thin!" When Studio Only was created, we met with professionals in the industry including studio owners, instructors, and yogis to have them test and try our products to make sure they were ideal for yoga and working out. The final product we offer today is our high performance ZenTek fabric that is moisture-wicking, has four-way stretch capabilities and flat seam technology. "I love the online web-store option!" The web-store option offers an easy additional source of income for studios, allows their clients to see all of the activewear options styles/colors/sizes available and to submit orders online. For studios that do not have a ton of space for retail/inventory it is the perfect solution! Congratulations on your new custom activewear line! Now that you’ve gone through the design phase, received your apparel and stocked your shelves, it is time to get the word out. It is vital to market your new investment to let customers know your collection exists. By employing a variety of marketing techniques, you can help make sure the news is communicated through the right medium, and to the right audience. We’ve put together the following tips to help you sell your custom activewear successfully. Create excitement leading up to your launch with announcements via social media, your website, and email marketing. Use the point-of-sale/table top display supplied by Studio Only to market your activewear. Place next to register where guests sign in, or in a well-lit area near apparel. Create urgency and attract customers with a sale or by creating a limited edition top or bottom. Support a cause and use your custom apparel and accessories for a fundraiser. This tactic evokes emotion and ties your brand to the community. During holiday months, promote branded merchandise as special, one-of-a-kind gifts. Create a buzz and have customers pre-order apparel. Keep your products fresh! Design new activewear and leisurewear seasonally, and offer complementary products like custom water bottles, towels, head wear, yoga blocks, straps, and more! Promote new activewear by having the teachers, management and studio owners wear often or as a uniform. Take video of your activewear being modeled and post to your Facebook and Instagram feeds. Show the detail of logo design and quality of activewear. Host a trunk show or fashion show event after a popular class to show off new signature collection. Send visual announcements via email. Let your clients know new custom activewear is in stock and available for purchase in store or via your online boutique. Tag @studio_only on Instagram and StudioOnly on Facebook for a chance to be featured on our page! Create a hashtag for your line like #jivayogagear and be sure to include in every post that showcases your apparel. Hold social media contests/giveaways incorporating your branded gear to encourage others to post. Remember to post about your activewear and accessories consistently! Make it a part of your weekly marketing to customers. 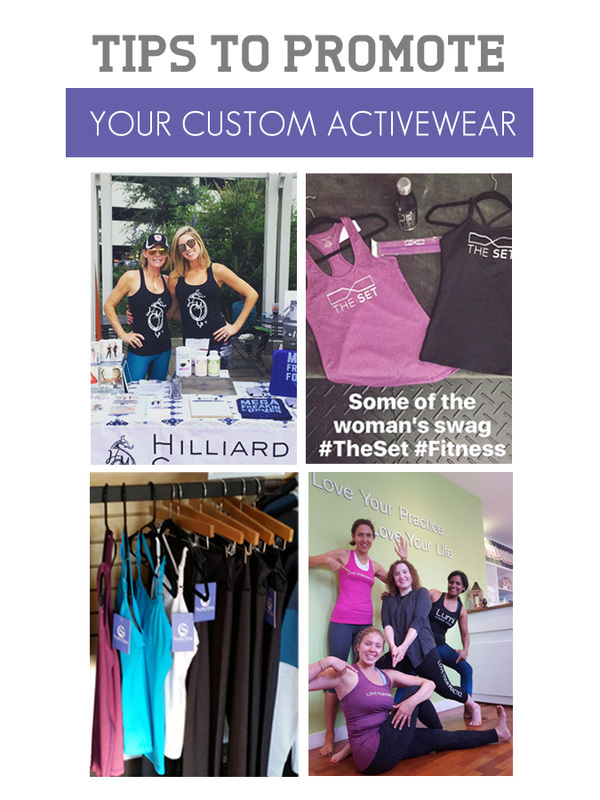 Whether you’re a yoga, Pilates, barre, dance, CrossFit or other fitness studio you should be selling merchandise with your brand. Here is our top 5 list of reasons to sell your own branded merchandise. Many businesses have outrageous marketing budgets that are thousands and thousands of dollars per year. Traditionally these budgets go toward advertising in printed publications, radio/TV spots, trade shows and online media. Selling your own branded merchandise is another avenue to market your brand and get paid. What better way to gain exposure for your studio than to have your most loyal and happy customers wear your merchandise to work, work out, friends houses, shopping, traveling, etc. Your clientele are walking, talking billboards that engage in conversation. After all, increasing profits is why you are in business, or at least you need to remain profitable in order to stay in business. Merchandise branded with your logo can be marked up 66% to 150% achieving margins of 40% to 60%. This is not bad for a secondary source of revenue that increases profits! In many cases if you purchase merchandise from a national brand, you are stuck with that inventory whether you sell it or not. However, when purchasing custom merchandise with your logo, you still reap all the marketing benefits by your customers wearing the product even if you sell your product at a 0% margin (or in other words your cost). People love to feel connected to their community. Consumers are more interested in unique items that are meaningful in their everyday lives. By providing items specific to your studio, you allow people to support what they love! Your dedicated team of staff and instructors will be wearing your studio activewear to trainings, conferences, yoga events, and at the studio creating a cohesive look both inside and outside the studio. Wearing your studio activewear is the best way to represent your studio outside of it's walls, and also helps promote your studio's branded activewear sales within the space. Visual branding is crucial to any business because it helps tell a story. Our brains are wired to visually recognize images and colors which affects us physically and emotionally. So how can a yoga studio take their brand to the next level? 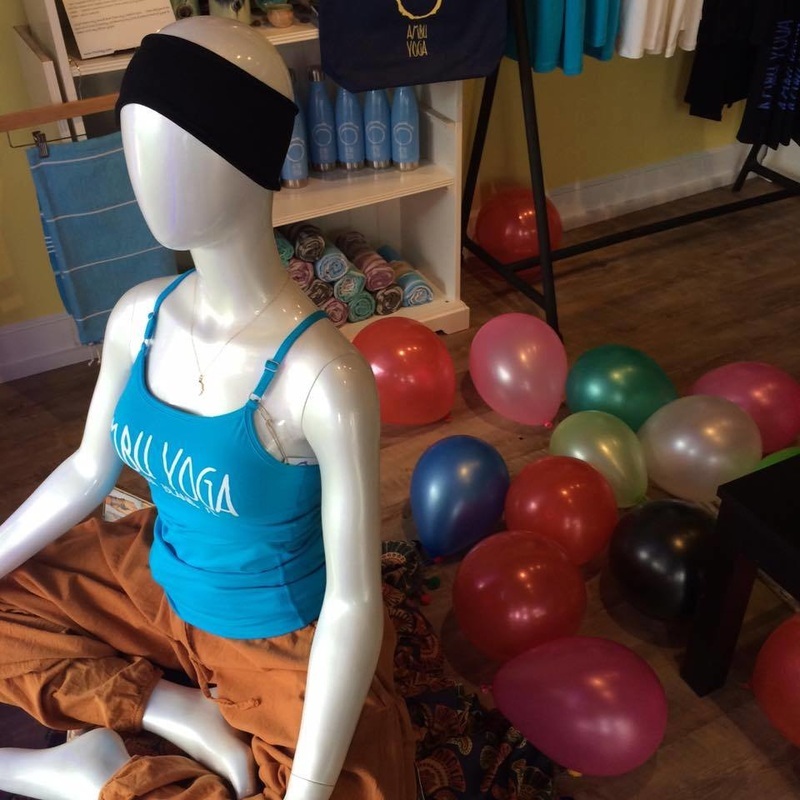 Custom activewear, water bottles, yoga straps, and towels are just some of the products you can offer your loyal yogis. They can easily identify themselves with your studio and feel proud to practice with you. Our passion is partnering with studios to develop custom activewear and accessories. We want your brand to tell a story. Here are four primary ways custom activewear can help increase your brand awareness. Individuals have a connection with their studio. They identify themselves with physical spaces, classes, and community of instructors and friends. Your studio is an environment of motion. People’s eyes are typically drawn toward movement and color. Design a signature line that captures attention. People love to share visual content. Imagine yogis wearing a tank or leggings branded with your studio logo in class, around town, or while traveling, creating awareness for you. Make your brand unforgettable. Reach new audiences that may have never considered your studio until they saw your logo on quality activewear. Be one of a kind with your own line.